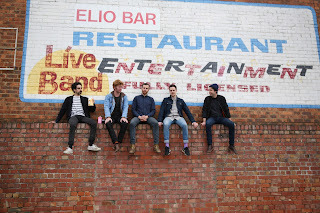 If It's Too Loud...: Rolling Blackouts Coastal Fever - "Write Back"
The new song from Rolling Blackouts Coastal Fever might be the most British sounding song we've ever covered, even though they're not British. Hailing from Melbourne, their new song "Write Back" has some pretty strong similarities to the British wave of bands that came before punk (The Jam, The Kinks) but still had the same attitude, just a bit more polite. It's filled with catchy verses and jangling guitars, which are two of our most favorite things. Even the subject matter of a "... hapless internet romance that will never be consummated" feels impossibly British. Rolling Blackouts Coastal Fever will release their mini-album Talk Tight on Ivy League March 25. You can listen to "Write Back" below. Also, be sure to check them out on Twitter and Facebook for more information.